There are many different types of furniture out there, some designs make use of leather finishes, and others are finished using textile or another type of material. This great variety of furniture means that each piece requires a specific cleaning method. Unfortunately there is no single universal cleaning technique which is suitable for all types of furniture. However our, specialised London furniture cleaning service will keep your valuable furniture pieces looking clean and feeling fresh at all times, without risking their good looks and comfort properties. The key to our highly efficient, risk-free furniture cleaning solutions is the exceptional technical knowledge of our cleaning teams and their attention to fine detail. We work with specially trained cleaning technicians who are skilled in professional grade cleaning of all types of domestic and office furniture. As expected, the cleaning technicians will apply only highly effective, professional grade, industry approved cleaning products and materials. When you choose our specialised London furniture cleaning service, you will receive punctual, attentive and reliable cleaning which will yield the best possible results, without risk of damage to the furniture piece. As mentioned our cleaning technicians are sufficiently skilled and trained in the safe and efficient cleaning of any type of furniture. 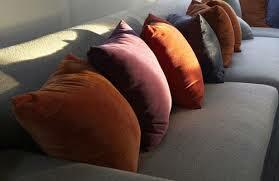 The cleaners will carefully review the type of material or finish of your furniture, and its current state. In turn, they will choose and apply the most appropriate cleaning method. In the case of wooden furniture, the cleaners will apply high quality cleaning products including wood polishes which will protect the surface for longer. Certain examples of furniture may also be subjected to restorative cleaning procedures if they are looking a little worse for wear. In the case of fabric furniture, special considerations such as colour fastness and dimensional stability of the fabric are also taken into account by our cleaning technicians before they choose and apply the particular cleaning method. In certain instances, the best way to clean your furniture might be to use a combination of different cleaning techniques in order to allow for nonaggressive cleaning with higher quality results. Our specialised furniture cleaning in London is super convenient and hassle-free as the entire cleaning process takes place in the comfort of your own home. There will be no need to disassemble or take the furniture to another location. 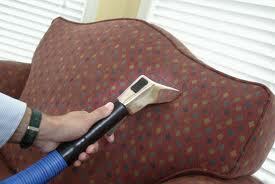 Our furniture cleaning in London is comfortably priced, and always gives you the desired results.